At this year’s Eurogamer Expo I talked to Pavel Kulikov, Producer at Gaijin Entertainment about War Thunder, their free-to-play game that’s recently entered open beta on PC. We talked about War Thunder’s cross-platform (PC/PS4) gaming with its same day updates, PlayStation Eye and Oculus Rift support and the game’s status as a PlayStation 4 launch title. Can you tell me about War Thunder? 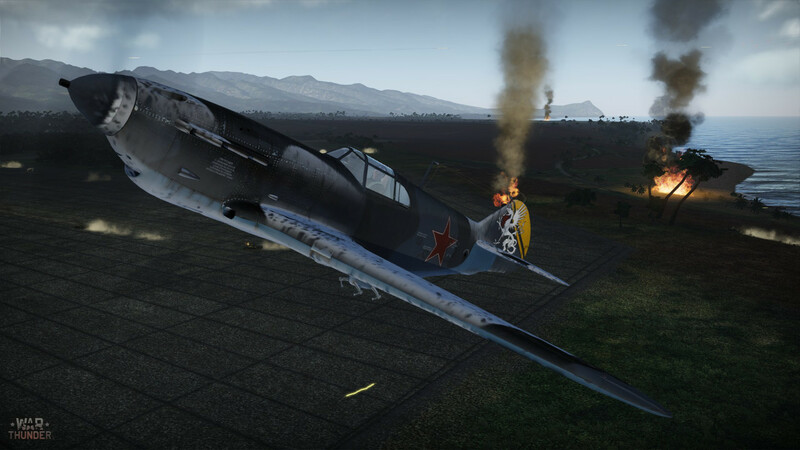 Pavel Kulikov: War Thunder is a free-to-play, massively-multiplayer online game set in a World War II environment and featuring non-stop fighting between planes, ships and tanks. Right now we are on PC in beta and will be adding tank gameplay to the game this year and ships next year. We already have 300 planes [in the game]. I think it’s the biggest collection of military World War II airplanes in a game. We have all types: fighters, strike fighters and bombers, like the Lancaster and B17 Flying Fortress. We have many different modes from arcade to realistic. Our game is for all air enthusiasts. If you’re an experienced player with 10 years of playing aviation games maybe even with your custom joystick our games is for you. If you’ve not played any flying games before, but you want to shoot some enemies then our game is for you too. Our goal was to create a game for all types of audience. War Thunder is a PlayStation 4 (PS4) launch title as well, isn’t it? PK: On day one you will buy your PS4, download our game from PlayStation Network and you’re ready to battle thousands of players from the PC. Right now you can start to play on PC and continue on PS4 because we have one player profile across all platforms. This year we are also releasing a Mac version and the iOS/Android versions next year. The mobile versions will use the same account but not support the cross-platform play. They [Sony] are really open to developers, to new ideas like free to play or cross-platform gameplay and they help us bring this to the PS4. For example, we have a special agreement with Sony for all updates from the PC will be on the PS4 on the same day so it [War Thunder] will really be cross-platform. One version. All content on PC right now, like the 300 planes, will be on PS4 at launch. When the tanks are released for PC it will be available on PS4 the same day. Is there any distinction in game between PC or PS4 players in-game? PK: On PC it’s difficult to fly a plane using the keyboard and have full control. But with with mouse it’s great. On PS4, it’s small but there’s still joysticks [on DualShock 4]. Also we had adapted the mouse-aim controls for PS4. Real aircraft are controlled by joysticks so we think it’s fair enough to play PS4 players against PC players. Do you need a PlayStation Plus (PS+) subscription to play online? PK: There’s no PS+ required. Of course there will be some additional content for PS+ users on PS4 but basically it’s free to play with no play to win elements like golden bullets. Even premium planes are almost the same as the free ones and they don’t give you superiority against other players. Any chance of an Xbox One version? PK: Never say never. But right now we can’t say anything about it because we are happy with Sony, but who knows? 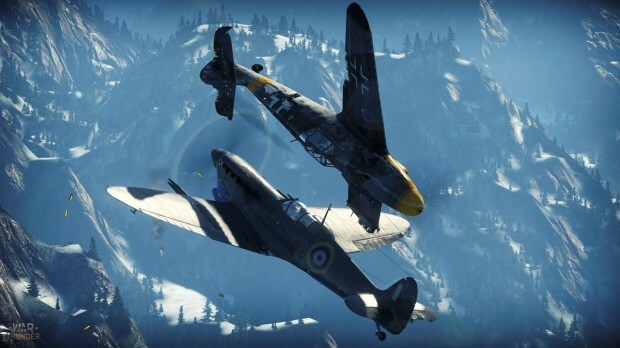 Will War Thunder support the Oculus Rift on both PC and PS4? PK: Right now, as far as I know, Oculus Rift is only for PC and we already support it. We’ll adjust our support as the Rift isn’t released yet. What about PlayStation 4? There’s nothing official about Oculus Rift on PS4 or if Sony makes their own virtual reality [headset]. We’ll support all VR devices for sure because it’s really in the nature of our game to support these kind of devices. Is there any PlayStation Eye integration? PK: The PlayStation Eye we use for head tracking. Actually even on PlayStation 3 we almost had head tracking for the Birds of Steel but we needed time to tune it so it wasn’t in the final version. Gran Turismo 5 was the first game with head tracking for PS3 which sadly wasn’t our game. Will you be able to jump into games on the PS4 straight from the console’s user interface? PK: Like on PC we have squad system when you can just join your friends. We also have this PlayStation vs Environment mission where you can join your friends or leave it. It’s like a dynamic campaign. Right now we are testing special long missions which will be like real, constant battles for a few hours so you can join or leave whenever. In this mode we will allow players to join in-progress games with your friends. You can join War Thunder’s free to play open beta now by signing-up at WarThunder.com.